Best cover of the series and Emi Gayle's 19th Year series is fabulous! Amber Argyle seriously has the best covers ever! 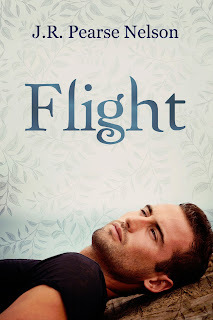 What a great cover of J.R. Pearse Nelson's Flight! 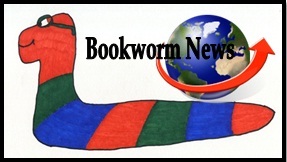 Gameboard of the Gods by Richelle Mead released June 4th. Abandon by Elana Johnson released June 4th. Rise of the Magi by Jocelyn Adams released June 4th. Joyland by Stephen King released June 4th. The Testing by Joelle Charbonneau released June 4th. The Diabolist by Layton Green released June 4th. Tempest Revealed by Tracy Deebs released June 4th. Men of Foxwick by Cherie Reich released June 5th. Atone by Angela Brown released on June 8th. Winter Queen by Amber Argyle released June 19th. In the After by Demitria Lunetta released June 25th. Flight by J.R. Pearse Nelson released June 26th. Witch Fall has a really cool cover design. Love the Witch Fall cover! Those covers are GORGEOUS. I was actually in awe there for a minute! I am absolutely drooling over the Witch Fall cover. Gorgeous, just gorgeous. Have to agree about that Witch Fall cover. Very eye catching. Ooh, Amber's cover is amazing! wow, I definitively agree with you. Witch Fall takes the prize. That's some gorgeous cover! Ooh, I love the Witch Fall cover. Darkest Day cover is awesome. I don't know about that series. Might have to look into it. Glad it's been a great reading month! That's a whole lotta books! Wow, so many fantastic covers! I'm so impressed by how much you've read and reviewed. Wish I could be that productive! Amber Argyle really does have gorgeous covers! Thanks for reading my book in June! Wow, you read a lot! 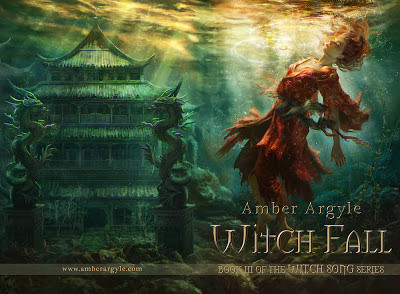 Witch Fall has an amazing cover! you're getting a lot of reading done! Love that cover for Witch Fall!